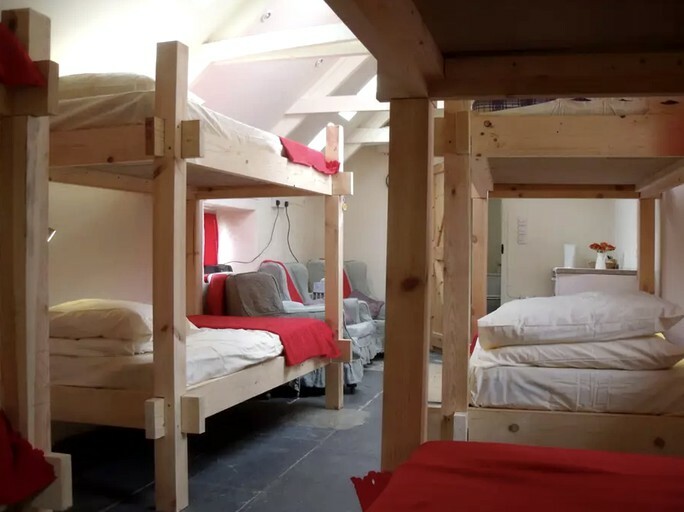 This cozy bunkhouse rental is located in Pembrokeshire, Wales, and can accommodate 12 guests for a getaway set right on the Pembrokeshire Coast Path and surrounded by Pembrokeshire Coast National Park. 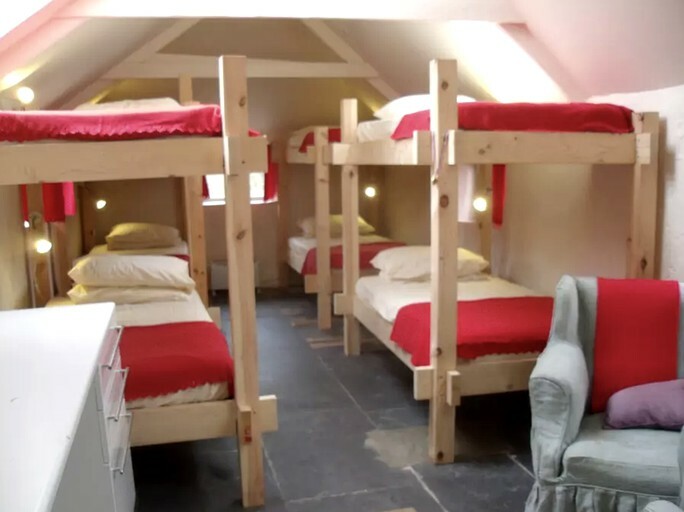 Built out of thick stone walls, the interior of the bunkhouse consists of a large, dormitory-style bedroom and a bathroom. In the bedroom, guests will find six sets of twin-over-twin bunk beds, each of which comes replete with an allergenic, orthopedic mattress and a private reading lamp. The bathroom contains a sink and separate toilets for men and women. Guests will also have access to showers, which, although technically shared, are rarely used by other guests. Linens, pillows, pillowcases, and hand towels are provided. Guests will need to bring their own blankets, duvets, or sleeping bags, as well as bathing and swimming towels. Other amenities include a kettle, a toaster, a full-size refrigerator, and heating. Outside, guests will find an enclosed courtyard with an outdoor dining area and a small charcoal barbecue fire pit. A large gas barbecue grill is also available for a small additional fee. When the weather is damp, the courtyard can be covered with sails to provide additional protection from the elements. 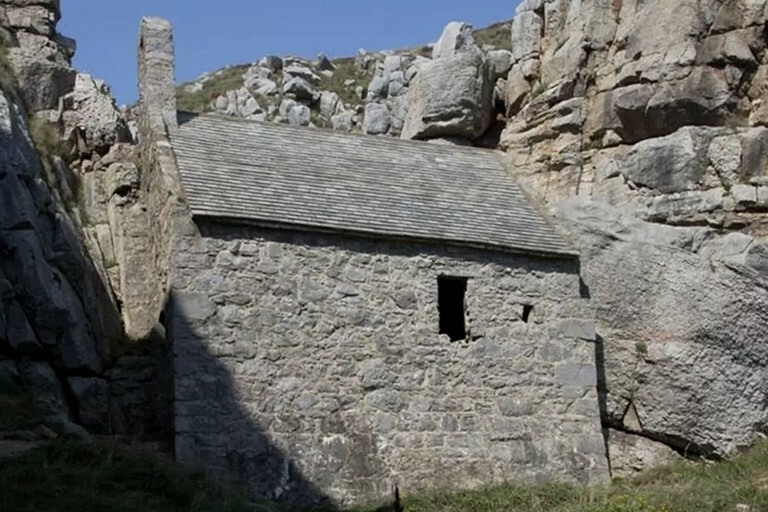 From the bunkhouse, guests will enjoy south-facing views of rolling fields extending past the medieval St Mary's Church all the way to the sea, where they can see Lundy Island on clear days. At the glamping site, guests will enjoy access to a variety of shared facilities, which include a reception barn, lawns, and a fully-enclosed meadow. At the reception barn, guests will find Wi-Fi, a refrigerator/freezer, outlets for charging their phones, and a collection of guidebooks, board games, beach toys, and equipment for garden games, which guests can play on the site's shared lawns. One of the lawns also boasts a driftwood swing and a ground-level trampoline. The fully-enclosed meadow is well-suited for dogs, providing them with nine acres of open space in which to play and exercise. The site has plenty of parking space for cars, vans, and campervans. The parking area is 30 to 80 meters away from the accommodation (depending on the unit), with an offloading area closer by and a garden cart available for helping transport supplies. An outdoor bicycle storage area is available as well. Sheets, pillows, pillowcases, and hand towels are provided. Guests will need to bring their own bathing and swimming towels. Guests should also bear in mind that cellphone reception is limited and that Wi-Fi cannot be guaranteed, given the remote location. A large gas barbecue is available for larger groups of guests needing additional cooking capacity. Two travel cots are available with advance reservation. Guests will need to bring their own bedding for the cots. Extra charcoal and wood can be ordered for guests' fire pit. This glamping site is located in Castlemartin, Wales, where it is situated near the tip of a peninsula in the scenic countryside of southwestern Pembrokeshire. 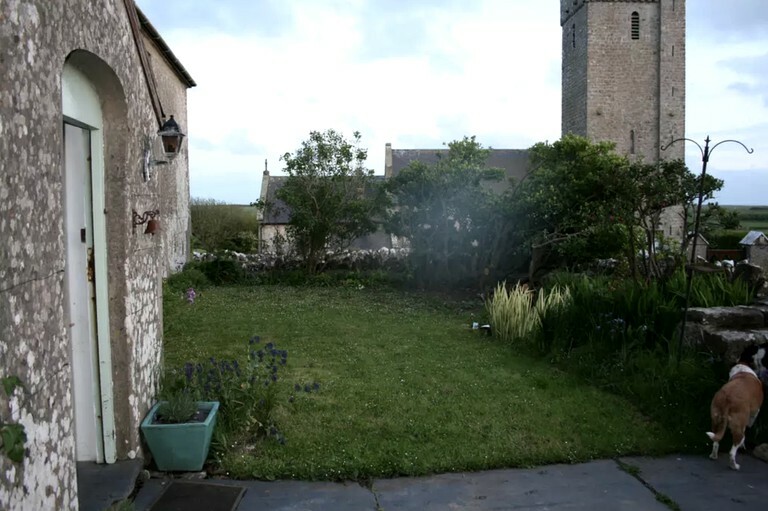 At the site, guests will find a peaceful, rural setting composed of a sunny meadow and a secluded woodland from which they can enjoy clear views of lush fields rolling off to the sea, passing by the medieval St Mary's Church along the way and extending out to the Bristol Channel, where they can see the Elegug Stack Rocks, the Green Bridge of Wales, and Lundy Island. 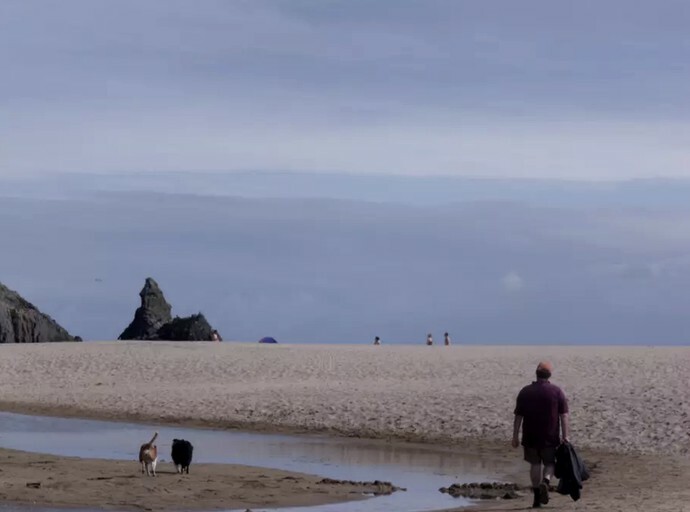 Surrounded by Pembrokeshire Coast National Park, the site provides guests with ample opportunities to reconnect to the great outdoors. 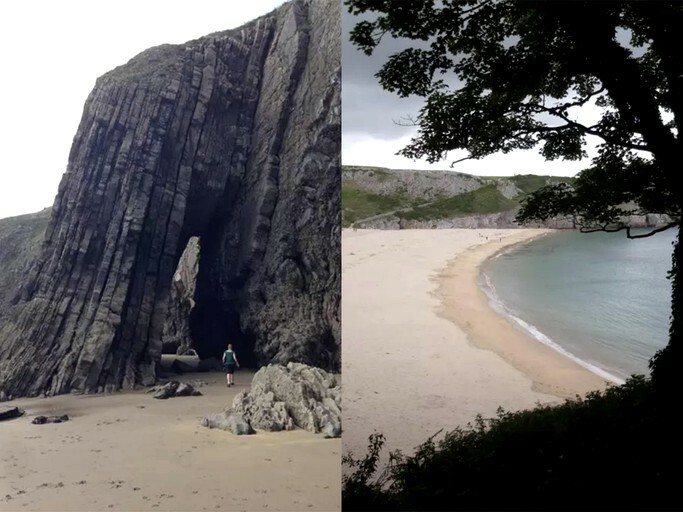 The 186-mile Pembrokeshire Coast Path is just footsteps away, and the site is close to the climbable cliffs of Castlemartin Range East and West, the unspoiled sandy beaches of Barafundle and Flimston, and the surfable waters of Freshwater West and Broadhaven South. 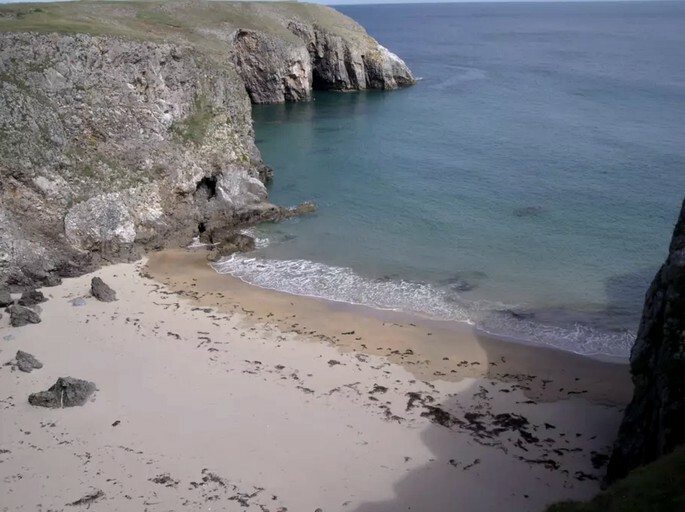 The surrounding countryside and the limestone cliffs, wooded valleys, winding rivers, sandy beaches, and coastal waters of the national park are home to a variety of creatures, including foxes, squirrels, bats, buzzards, swallows, starlings, pheasants, grey seals, otters, and puffins. The site itself is sometimes visited by badgers and barn owls. 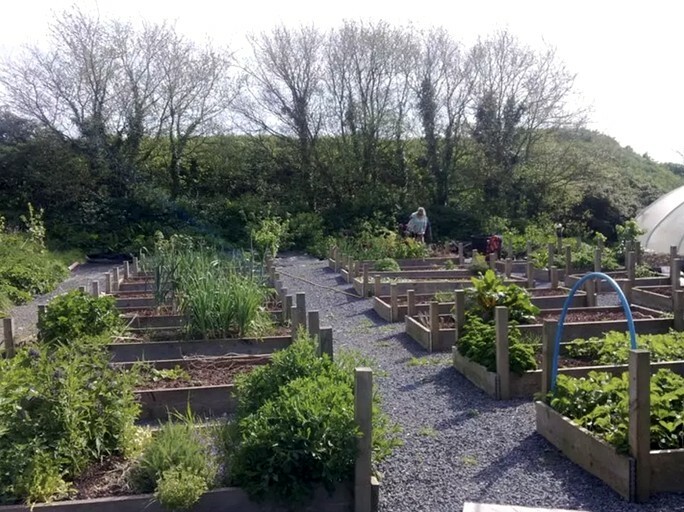 Guests can enjoy a variety of outdoor activities in the surrounding Pembrokeshire Coast National Park, both on land and on water. 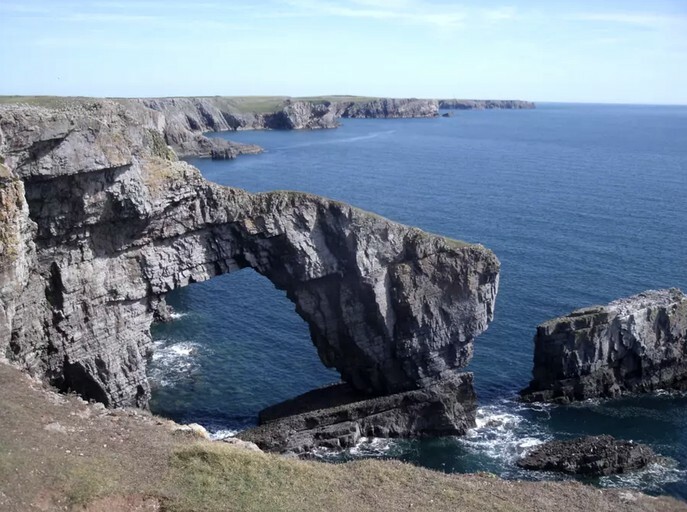 On land, guests can go nature walking and hiking on the park's 200 circular walks and 186-mile Pembrokeshire Coast Path, horseback riding and biking on the Castlemartin Range Trail, and climbing on the limestone cliffs of Castlemartin Range East and West. For biking, guests can bring their own bicycles, with outdoor storage available on-site, or they can rent them from Tenby Cycles and Pembrokeshire Bikes, which offers a delivery service. 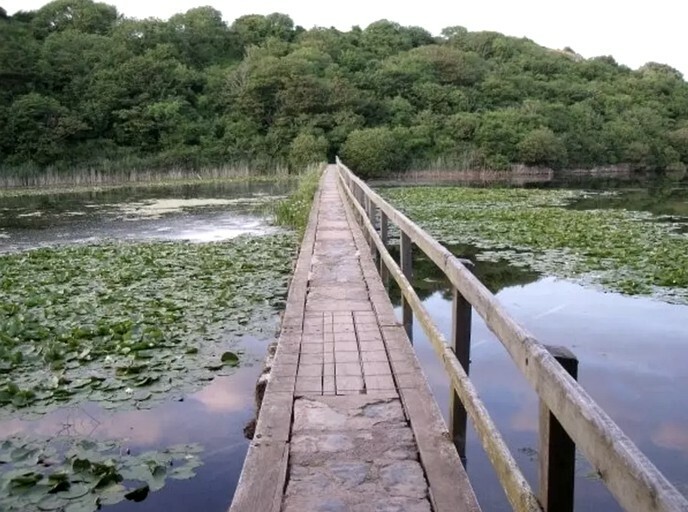 In addition to the trail mentioned above, the stretch of the Pembrokeshire Coast Path that runs past the site is open to cyclists, as are a variety of nearby country roads and other cycle paths. 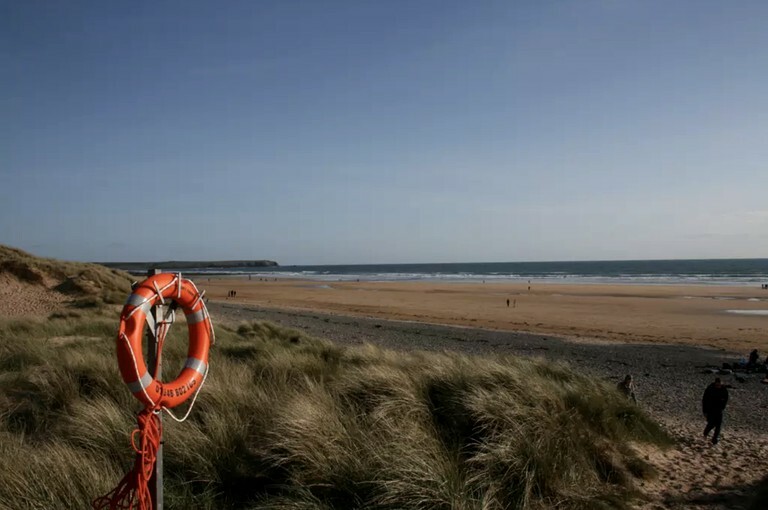 On the water, guests can enjoy swimming, kayaking, surfing, windsurfing, diving, and sea fishing at the nearby beaches and coastal waters of Freshwater West, Stackpole Quay, Broad Haven South, Flimston, and Barafundle Bay. 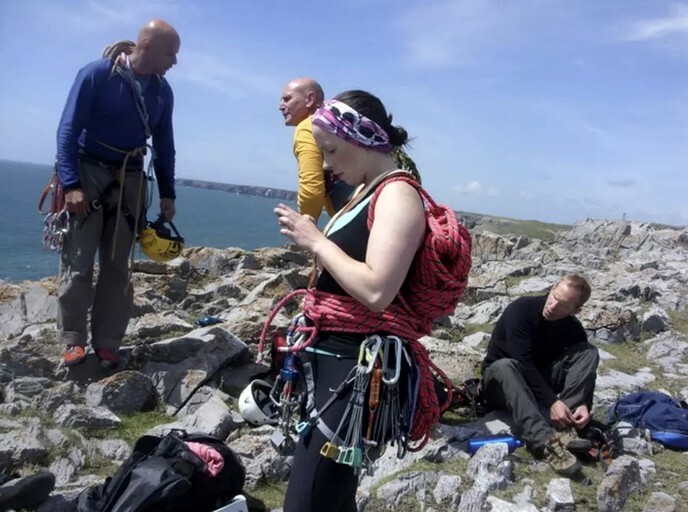 Along the rugged coastline of Pembrokeshire, guests can also go coasteering, which is a mixture of swimming, climbing, canyoning, rock scrambling abseiling/ rappelling, jumping, and diving. 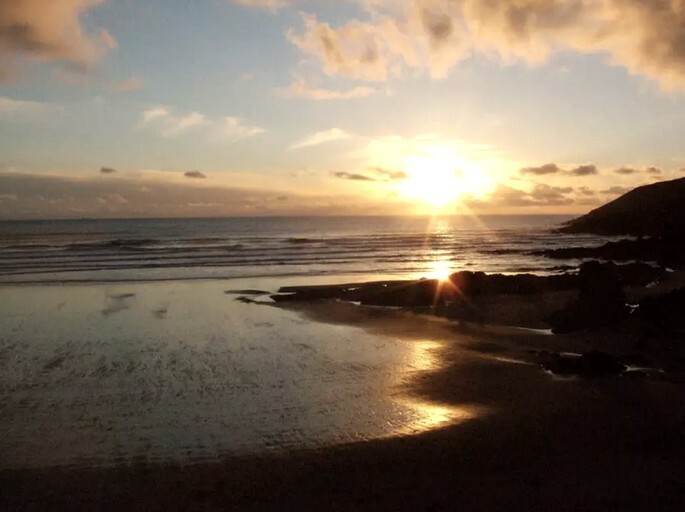 Guided coasteering adventures are available from Coasteering Wales. Check-in is between 5 p.m. and 7 p.m. This accommodation is not suitable for pets or children.